TEMPE, Ariz. – Sept. 13, 2016 – The outdoor environment can be unforgiving on audio gear as both terrain and weather can wreak havoc on these components. 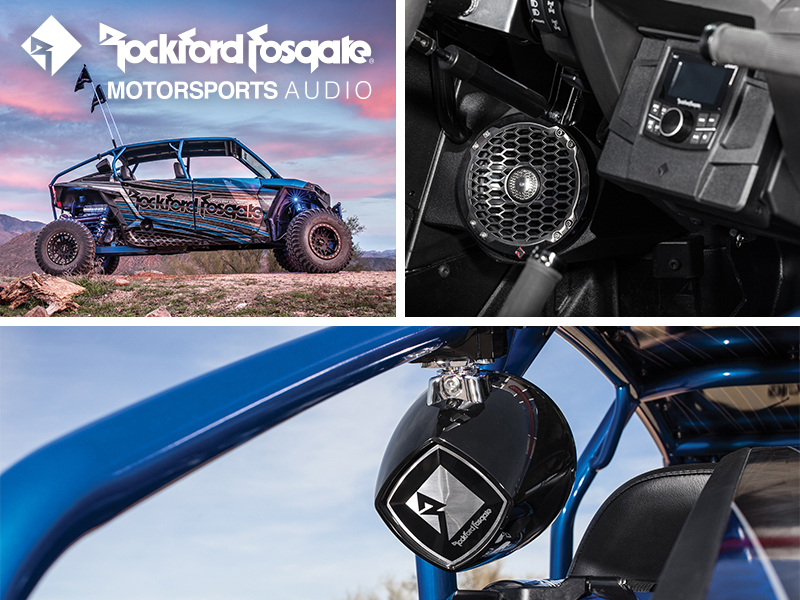 With that in mind, Rockford Fosgate (www.rockfordfosgate.com), the industry leader in high-performance audio systems, is proud to announce that the new Stage 5 Audio Kit Solution (RZR-STAGE5) is now shipping. Utilizing Rockford Fosgate’s premium Power Series components, the top-of-the-line RZR-STAGE5 has an MSRP of $3,599.99. Setting the standard for excellence in the audio industry, the Rockford Corporation markets and distributes high-performance audio systems for the mobile audio aftermarket and OEM market. Headquartered in Tempe, Ariz., Rockford Corporation is a publicly traded company and manufactures or distributes its products under multiple brands: Rockford Fosgate(R), Rockford Acoustic Design(TM), Lightning Audio(R), CrimeStopper, and Renegade. For more information, please visit: www.rockfordfosgate.com, www.rockfordacousticdesign.com, www.lightningaudio.com, www.crimestopper.com, and www.renegadecaraudio.com.